In the wake of the Great East Japan Earthquake on March 11th, 2011 and the resulting nuclear meltdown at the Fukushima Daiichi Nuclear Power Station, KITA-NET (http://kitanet.com), a network of environmental groups, established the Hokkaido Energy Change 100 Project for the purpose of increasing use of local energy and helping make Hokkaido a natural-energy island in June 2011. 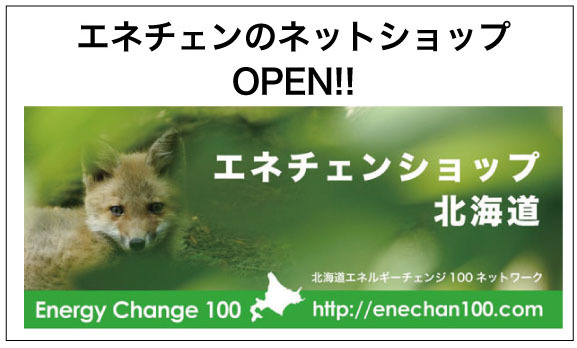 We also founded "Hokkaido Energy Change 100 Network" on May 17th, 2014. 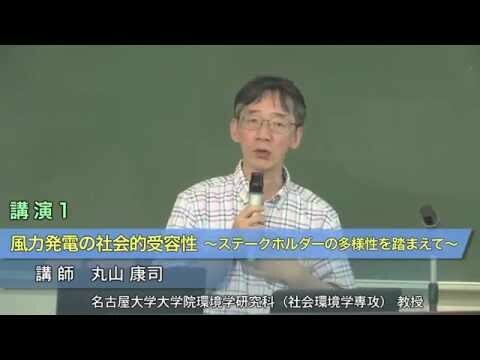 Since then, the network has been working to realize a 100% natural-energy Hokkaido. 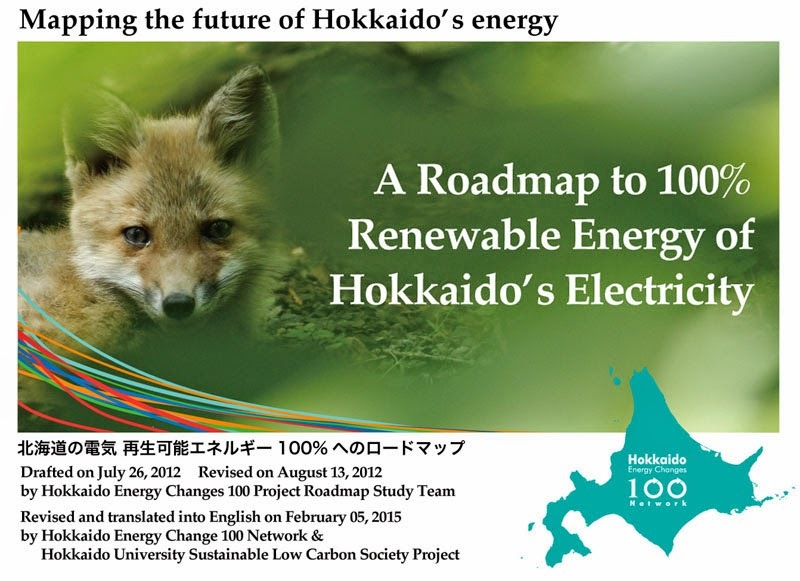 As part of the Hokkaido Energy Change !00 Project’s initiatives, we released A Roadmap to 100% Renewable Energy of Hokkaido's Electricity in July 2012. The roadmap was recently updated with new data including the now accelerated target year of 2020. And now, the English version of the updated roadmap is available. 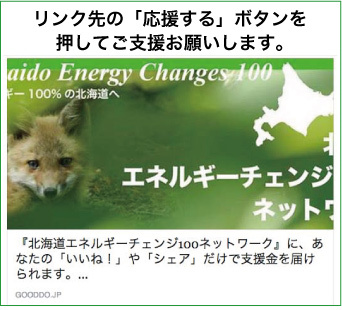 To download it, go to "A Roadmap to 100% Renewable Energy of Hokkaido's Electricity." 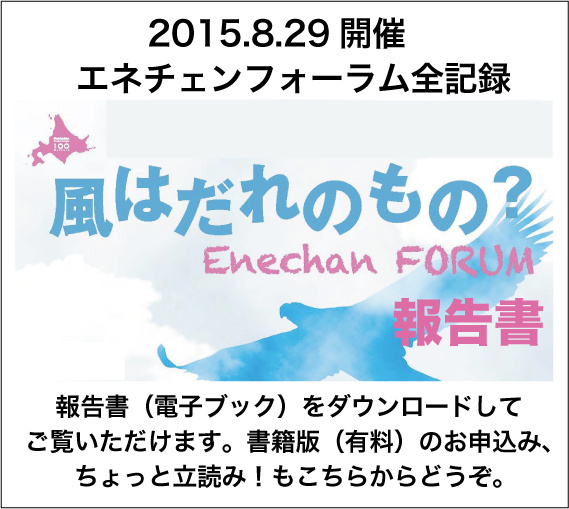 ・The roadmap may be used for citizens' good-faith activities, study meetings by educational establishments and the like. ・Our prior approval is required to reprint the roadmap on other websites, refer to or modify it for business or publication purposes and for other such uses.